Bring us Merlenderl, and wipe away the debt! Jesus Christ, it IS Tyra Tuesday!!! Samit Sarkar does it again! For one of Destructoid's own to become so popular in the spiritual home of videogames is quite an achievement. Ladies and gentlemen, please join me in congratulating the man who has become a true Japanese icon! This weekend, stuff happening, yeah? Tokyo Game Show 2008: Sterling is bloody ready! The game idea that will make my fortune! 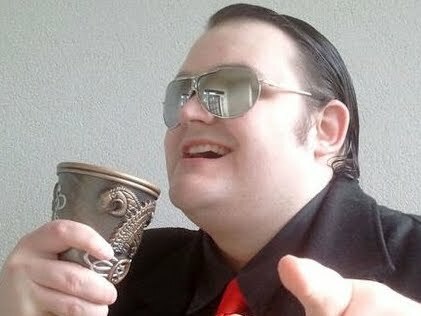 From Eegra: I believe Jim Sterling just got served. Fukka you, Eegra, my apinion is grate.